MobileDemand and Brother Partner to Provide Turnkey Rugged Mobile Computing and Printing System. All MobileDemand rugged tablet pc systems have been certified on Brother mobile printers to help mobile workers improve efficiency, accuracy and productivity at the point of transaction. MobileDemand and Brother Mobile Solutions share a passion for providing productivity tools to mobile workers to improve efficiency. MobileDemand, a leading provider of rugged tablet PCs has teamed with Broomfield, Colorado-based Brother Mobile Solutions, a global provider of mobile printing and label solutions designed to improve performance and efficiency on the road, on the shop floor and in the warehouse. All MobileDemand products -- the xTablet T7000, T8700 and C1200 tablet PC systems have been certified on the PocketJet and RuggedJet mobile printers from Brother Mobile. MobileDemand and Brother Mobile Solutions have formed a strategic partnership to provide rugged mobile computing and printing solutions to customers in transportation, field services, pest management, public utilities, datacom and telecom services, manufacturing and warehousing, retail supply chain, food and beverage distribution, military, law enforcement and other public safety agencies, hospitality, healthcare and agriculture that are optimized for the rigors of mobile computing and printing solutions anywhere outside the office. “The MobileDemand/Brother Mobile partnership will leverage the collective expertise in each of our target markets and allow both companies to expand into new markets to bring our military rugged high performance solutions to even more companies,” says MobileDemand Channel Sales and Business Development Manager Brian Beans. “We share a passion for providing innovative productivity tools to mobile workers to enable them to complete their work more efficiently,” Beans continues. MobileDemand full-screen xTablets and Brother Mobile printers are designed to go wherever work needs to get done, even in the harshest conditions. From the manufacturing facility to the warehouse, from the distribution center to the store, from the truck, ship or train to the customer, MobileDemand rugged tablets and Brother label and receipt printers help mobile workers improve efficiency, accuracy and productivity at the point of transaction. MobileDemand xTablets are built military rugged to withstand the rigors of real-world field applications. They are MIL-STD 810G compliant and have an Ingress (Sealing) Rating of up to IP65, which means they have been tested to survive pressured water, temperature extremes, rain, humidity, salt, sand, dust, shock, vibration and 26 consecutive drops from up to five feet. xTablet full Windows 7 tablet PC systems are powered by Intel processors to provide all the performance needed to handle graphic and data intensive applications. They offer a host of rugged tablet PC accessories including hot-swappable and high capacity batteries for all-day use and several input options such as pen-stylus, numeric keypad, on-screen or full QWERTY keyboard. They provide all-light readable displays, color cameras, and optional bar code and credit card scanners (on the xTablet T7000 and xTablet T8700). They are also WLAN and WWAN compatible and provide GPS on some models. Optional cradles, mounts and accessories are also available. 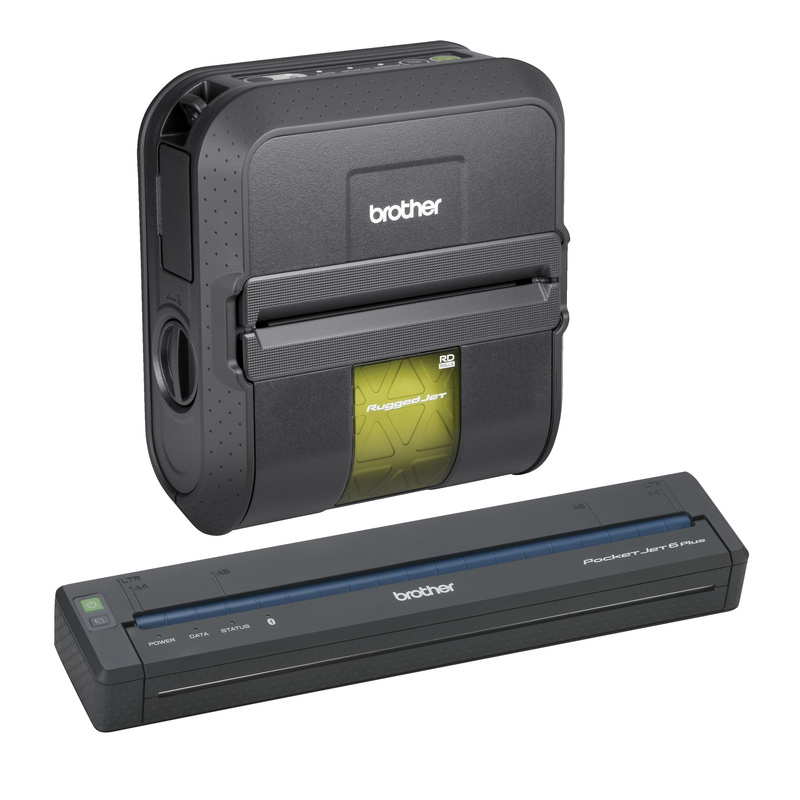 The Brother line of printers includes reliable, compact, mobile thermal full-page printers; rugged small-format thermal receipt and label printers; handheld and desktop laminated label printers; and wide-format, desktop thermal paper label printers. A variety of media and accessories for these products are available through authorized Brother Mobile Solutions partners. MobileDemand is a leading provider of rugged tablet computers used by mobile workers in Field Service, Food and Beverage Distribution, Manufacturing, Retail, Hospitality, Agriculture, Utilities, Military and Public Sector. MobileDemand is also the #1 provider of rugged tablet computers used in transportation in the United States. xTablet Rugged Tablet PC systems improve operational efficiency and allow mobile workers to make better business decisions at the point of interaction. They provide ultra-mobility and versatility and are built military rugged to withstand harsh environments. They offer a high resolution, all-light readable touch screen, functionality of a full Microsoft Windows 7 OS and the power of an Intel processor to deliver performance at a lower cost and enable greater efficiency and productivity in the field. MobileDemand: Innovations in productivity. 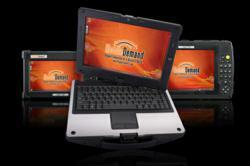 Additional information about MobileDemand is available at http://www.RuggedTabletPC.com. Through its network of authorized partners and ISVs, Brother Mobile Solutions offers a wide range of mobile printing and mobile and desktop labeling solutions designed to help improve performance and efficiency on the road, on the shop floor and in the warehouse. Principal markets for its solutions are public safety, route accounting, field service, public utility field operations, insurance, manufacturing, warehousing, and datacom and telecom services. Its solutions are built on its own product line which currently includes reliable, compact, mobile thermal full-page printers; rugged small-format thermal receipt and label printers; handheld and desktop laminated label printers; and wide-format, desktop thermal paper label printers. A variety of media and accessories for these products are available through authorized Brother Mobile Solutions partners. Headquartered in Broomfield, CO., Brother Mobile Solutions, Inc. is a wholly owned subsidiary of Brother International Corporation, and part of the Global Brother Group. To learn more, visit http://www.BrotherMobileSolutions.com.